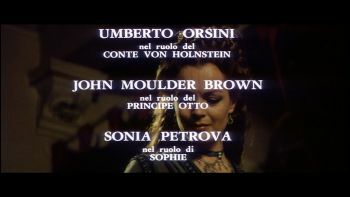 Compared are the Reconstructed Theatrical Version (German Blu-ray by Arthaus) and the TV Version (German DVD by Arthaus). 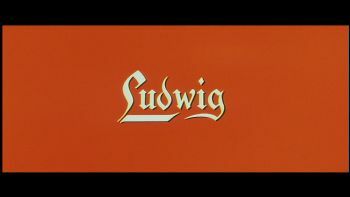 At the age of eighteen, Ludwig becomes king of Bavaria. One of his first official acts is having Richard Wagner, who is encumbered with debts, brought to Munich. 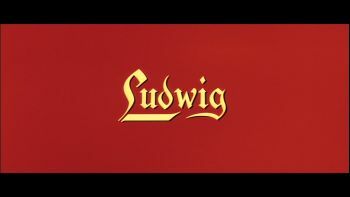 Ludwig supports him generously and he admires his cousin Elisabeth who he also falls in love with but it does not take long until her arrogance and pride hurts him badly. After a few delays, he blows the scheduled wedding with Elisabeth's sister Sophie. 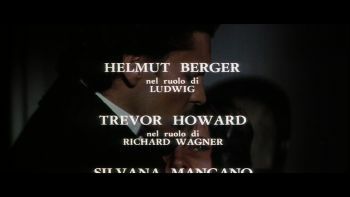 As time goes by, Ludwig becomes more and more aware of his homosexuality so he has an affair with his employee Richard Hornig. He secludes himself more and more and completely focuses on building his fairytale castles. 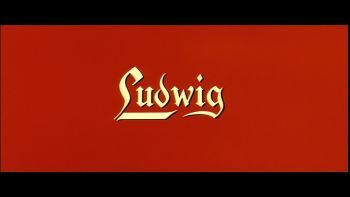 The government eventually declares Ludwig insane and assigns his uncle Prince Leopold to the government business. 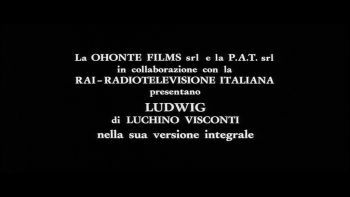 Ludwig gets locked up. While being out for a stroll with his shrink Bernhard von Gudden, they both die under mysterious circumstances in Lake Starnberg. In times of "PG-13 style over substance blockbuster actioners", it might even appear difficult to watch a 4-hour drama that looks like a chamber play most of the time but it is definately worth it. The movie sticks pretty close to the actual facts and focuses on the cornerstones of the life of Ludwig II. 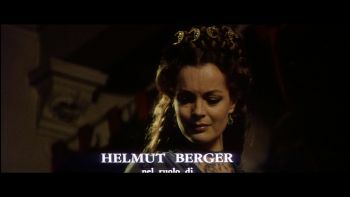 Helmut Berger's performance is magnificent by the way. 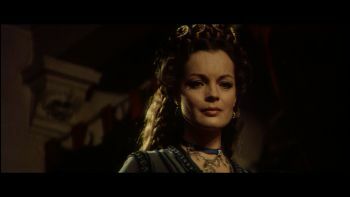 And Romy Schneider plays Elisabeth ("Sissi") one last time - except this Elisabeth has nothing in common with the one from the Sissi trilogy. 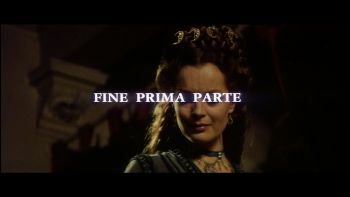 Arrogant and cold, she does not want to get involved and suggests to marry her sister. The movie was shot at some of the original loccations, Neuschwanstein Castle for instance. With a length of approx. 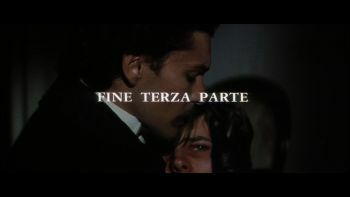 177 minutes only, the movie was released in Italian theaters without director Luchino Visconti having it green-lit. 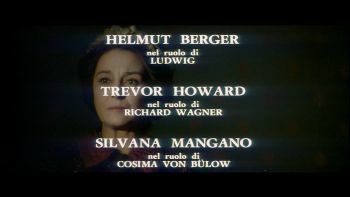 In the late 70s, Visconti's original cut was reconstructed for the Italian network RAI devided in 5 episodes, each with both opening and end credits (total length approx. 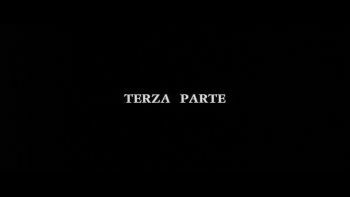 246 minutes). On Blu-ray, a version with a length of approx. 238 minutes is available. Basically, the Blu-ray contains the Reconstructed TV Version without opening and credits. 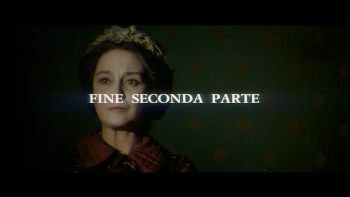 There is one tiny further difference though: There is one little alteration at the end of the first episode. In the TV Version, Elisabeth moving her head is faster at first, only to be slower subsequently afterwards. Other than that, there are no differences whatsoever - except for the missing credits that is. 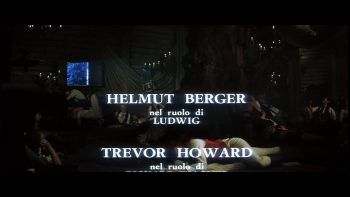 The transfer of the German Blu-ray (used for this comparison) is very well and the US Blu-ray by Arrow is based on the same master. 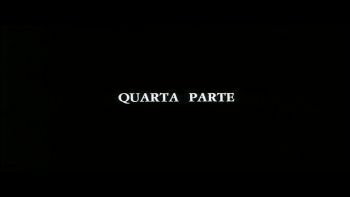 The TV Version starts as Part 1. The Blu-ray contains a Studio Canal logo instead. 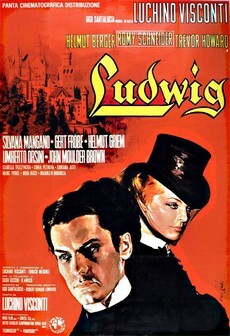 In the TV Version, the shot of Elisabeth telling Ludwig to come to Tristan's play is first faster and then slower. 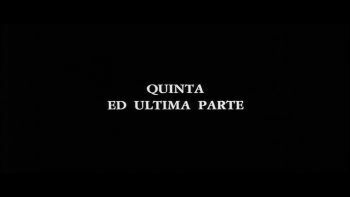 Then the end credits in the TV Version. 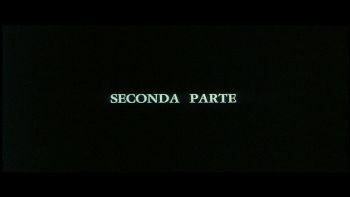 The TV Version starts as Part 2 & there are opening credits as well. 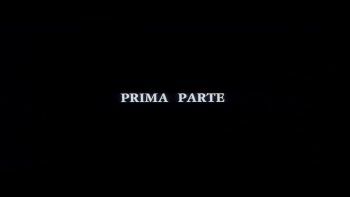 The TV Version contains end credits for Part 2. The TV Version starts as Part 3 & there are opening credits as well. 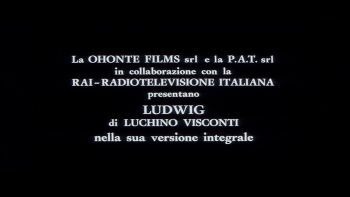 The TV Version contains end credits for Part 3. The TV Version starts as Part 4 & there are opening credits as well. The TV Version contains end credits for Part 4. The TV Version starts as Part 5 & there are opening credits as well.